Recently after weeks (if not months) of saving up, I decided to go and spend some moolah in Topshop now I'm doing a collective haul very soon aswell but I wanted to show you these and go into more detail about them on a separate blog post. 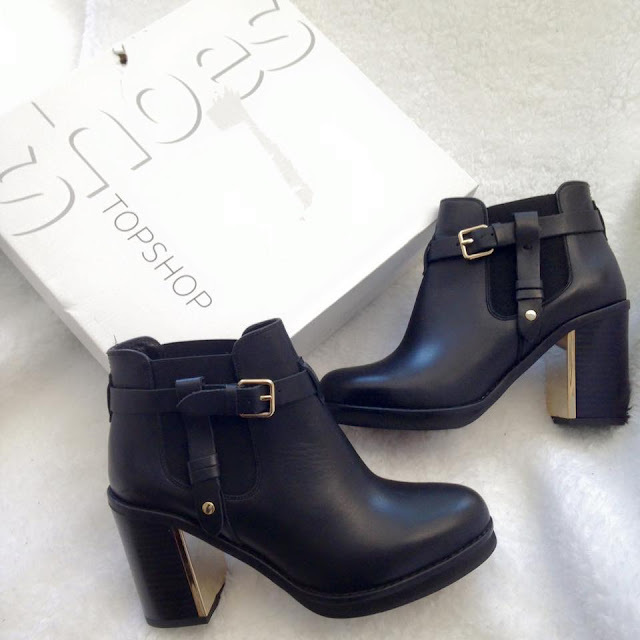 I bought some shoes from Topshop! 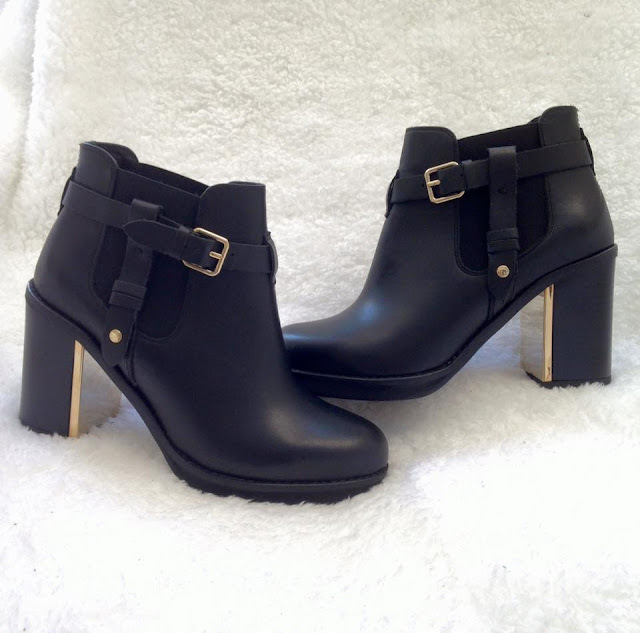 They are the Mine Leather Buckled Ankle Boots,Now I've had my eye on these since probably end of march (round near my birthday) beginning on April, and yesterday I decided to finally buy them as I loved them that much! They are so comfy and surprisingly the heel on them is actually lighter compared to my chelsea boots from H&M (blog post on that here). I love the buckled detail on them and just pretty much fell in love with them, they're really sturdy and are comfortable to walk I'd say you could probably get away with wearing these all day as they are that comfortable and lightweight. My favourite thing about them though is the price, they were £80 and I got them in the sale from.....*pauses typing for drumroll* £20!!!!!!!!!!!! BARGAINOUS! I couldn't believe it, the shoes I had been day dreaming of for a past couple of months went into the summer sale for £20! 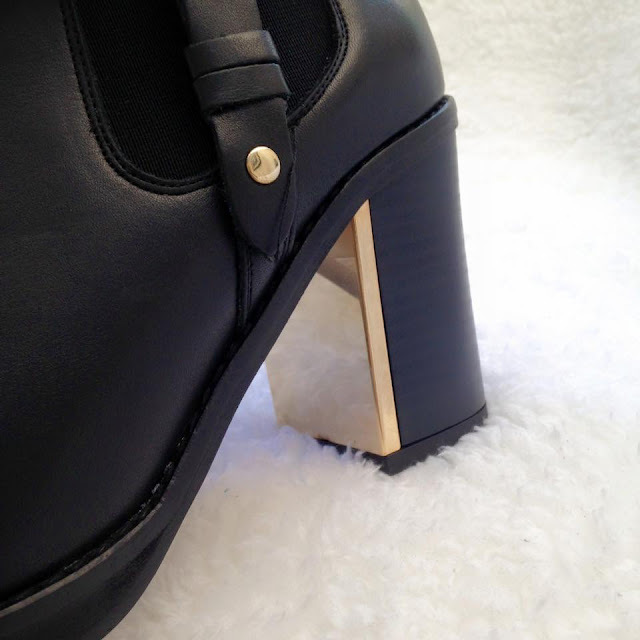 They are real leather and are such good quality. Honestly I would recommend a pair of Topshop shoes to anyone anyday! 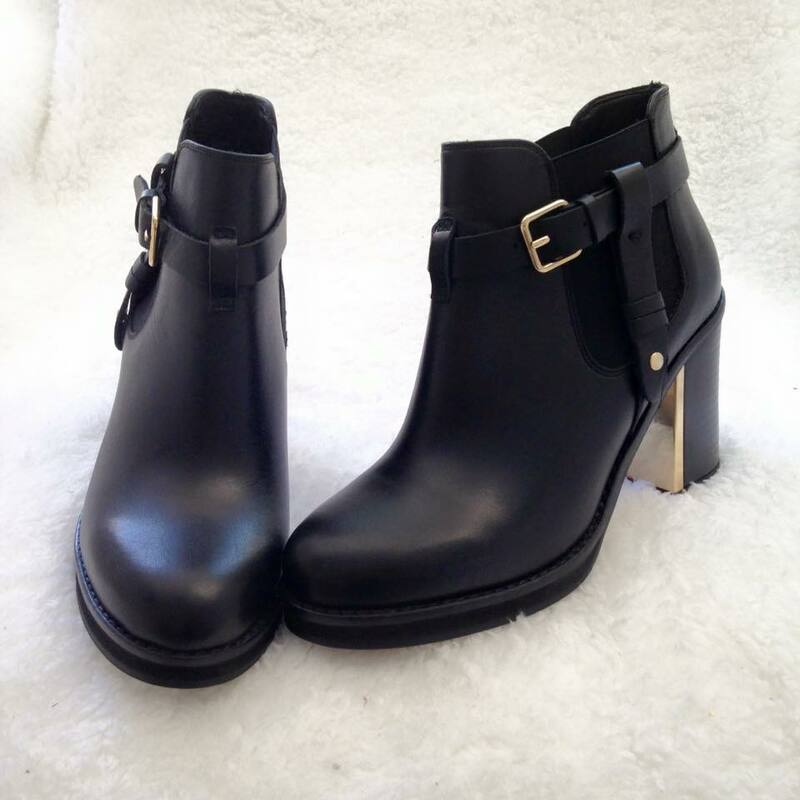 Would I buy a pair of shoes from Topshop again? YES! My favourite thing bout purchasing these shoes has to be the price as that's really amazing, to say I couldn't stop smiling for the rest of the day would be a lie hahaha. Have you brought a pair of Topshop shoes? What did you think of them? Hello everyone, I uploaded a blog post yesterday saying that I had been to boots and well I just didn't stop at the white collection products, I also hit the Soap & Glory counter as you know, when ones in boots one simply can't miss a little splurge on Soap & Glory Products, can they?!?! I've picked up quite a few items some I'm really loving others I feel like I need to use more to receive the full benefits of the product. 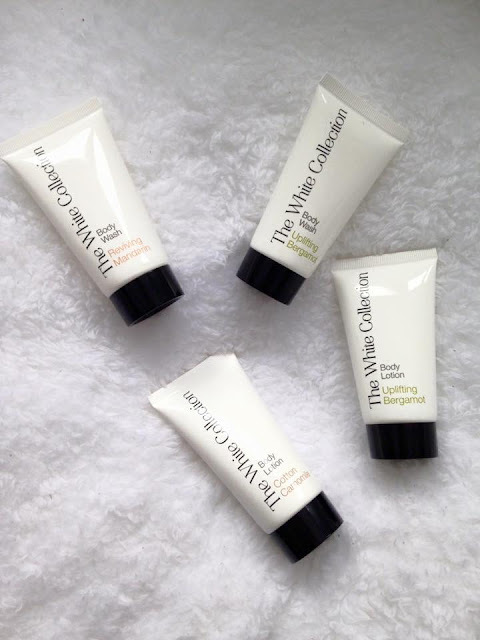 First up in my small yet pricey haul is the Peaches and Clean 4-in-1 Wash Off Deep Cleansing Milk - This is such a refreshing sweet scent, as you've probably guess from the name of this product it smells completely like peaches and a hint of mint I'd say (but mostly peaches) you can use this to remove makeup too, it's says it purifies and energizes your skin, It has made my skin look much more awake and alive, as you all know I'm super fussy about cleansers ect but this one I absolutely love it's great value for your moolah and I would highly recommend this product for anyone who has quite an oily skin type. Again this cleanser is quite light and instantly dries and your skin feels instantly hydrated and bouncy. I've been using this first thing in the mornings every other day (if that makes sense lol). 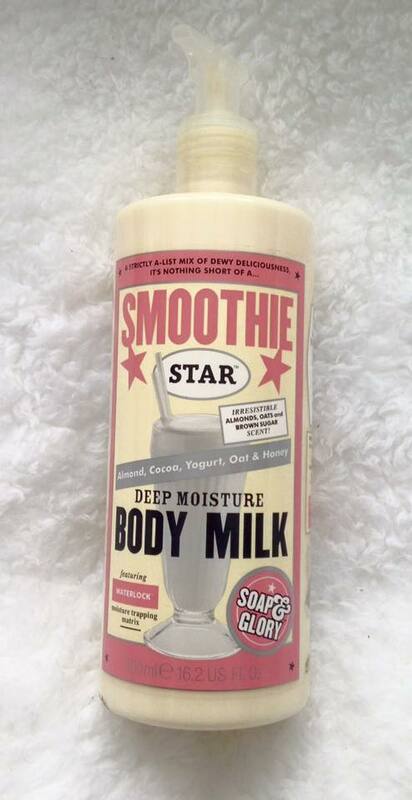 Next up is the Smoothie Star Deep Moisture Body Milk, this is one of my favourite S&G (Soap & Glory) scents to me it smells like popcorn, that's the only way I can describe it, I've actually repurchased this again as I love it that much and I've used it so many times, this too is another fantastic product by Soap and Glory, I tend to use this more in the winter as it's a deep moisturising lotion, that and I tend to go for the Sugar crush body washes/ scrubs in the summer as they are very summery scents. 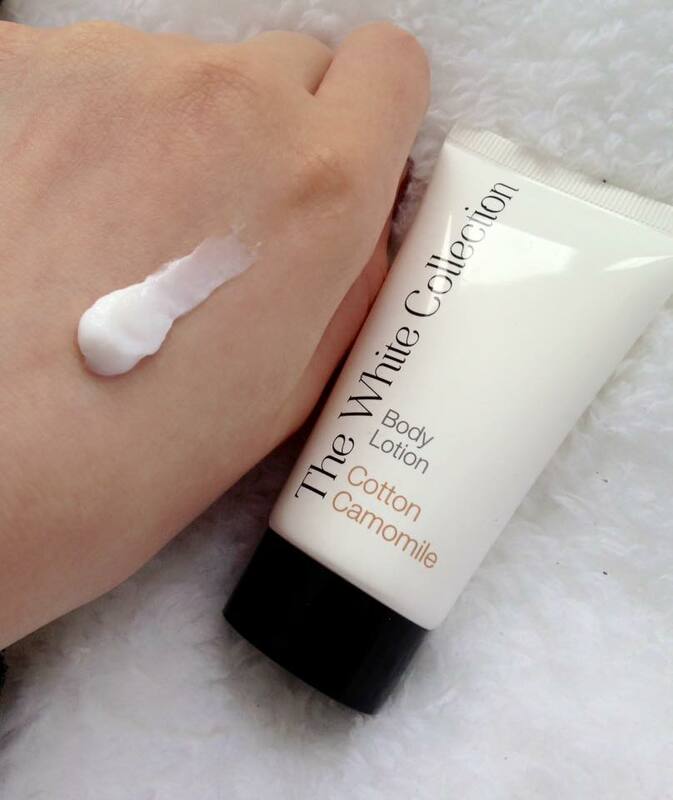 This is quite a thick and heavy lotion so I only apply a tiny bit at a time as it is also a bit oily. However this is still a fantastic product and a firm favourite of mine. You can really smell the almond scent in this product. Whilst day dreaming at the S&G counter I came across another moisturiser this time in body mist form, now when I picked this up I firstly thought this isn't going to be the product for me....but how wrong The Girligo Body Moisturising mist is AMAZING! It has the same scent as the Anti-bac gel from S&G. 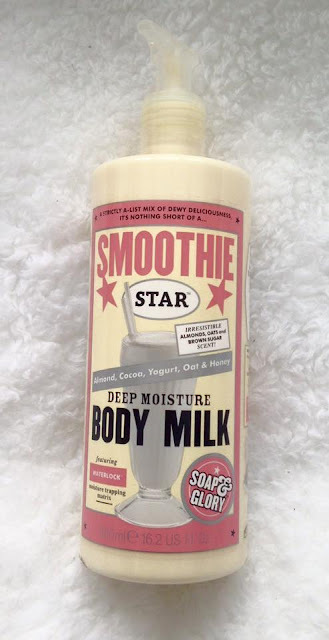 This product is super softening and instantly awakens your skin and brings it back to life, the only downside to this product is the packaging I felt a little tad disappointed as for me personally the packing makes me what to buy it more, I just think it needs a bit more colour and needs to stand out more as it's such a fantastic product and is very reasonably priced. The last thing I brought was the Righteous Body Butter as who doesn't love a body butter, now I'm just going to put this out there that this (what I'm about to show you) is one of my favourite body butters. This product lasts me months as this is the type of product that a little goes along way, It's light and very rich in moisturising the skin, It does have the same scent as the Girligo but a lot lighter and less powerful, I found this to be quite nice to use in the morning and it pretty much lasted me the whole day with that super soft skin feeling. I love the scent to this it's very sweet but not too sweet just the perfect combination of scents. 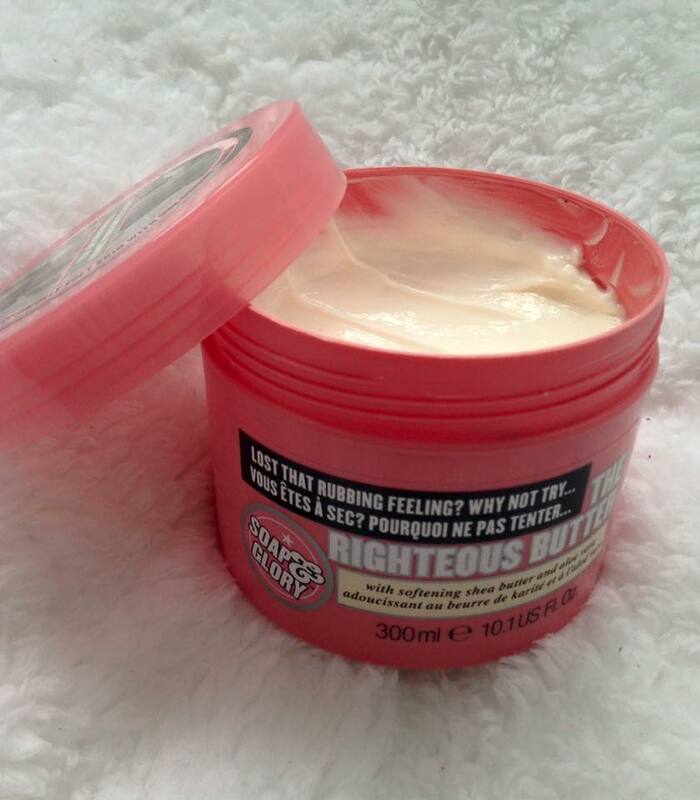 Do you use Soap & Glory Products? 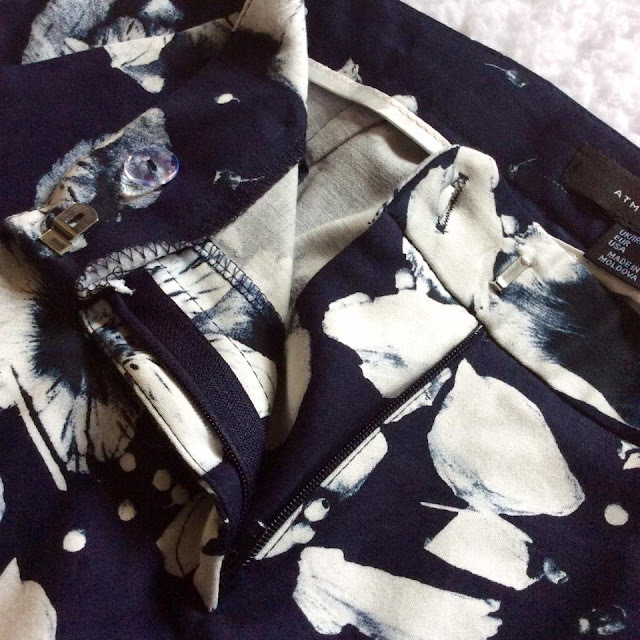 As you can guess from the title of this blog post, I've been shopping again, this time in Primark. 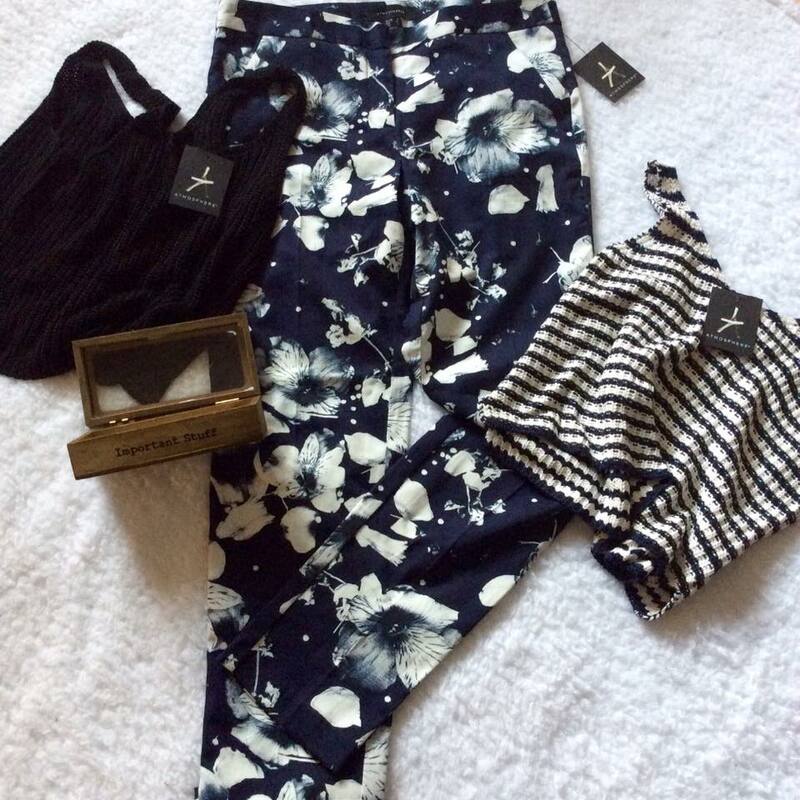 Now I know how much you all love my primark hauls so I thought I would share with you another one, I honestly can't stop buying things from Primark at the moment, especially as holiday season is just creeping round the corner, and primark have some fantastic clothes which are perfect for holidays, summer nights out and well basic everyday wear. I firstly came across these gorgeous trousers, now I'll be honest with you these trousers are something I would never normally contemplate picking up let alone trying on, I didn't think these were going to look great on me like "I can't pull off floral trousers" but they actually look really really nice on and fit really well, I absolutely love them! 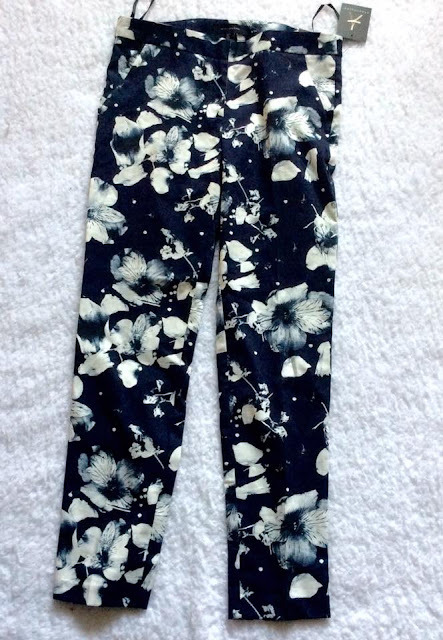 they are navy with black and white poppy print on them. I do feel like I've stepped out of my disco pant comfort zone, but I really really like them, they are stretchy and are extremely good quality they've got a zip and button as you can see in the pictures above, these are new in and are selling out pretty fast so buy these while you can! 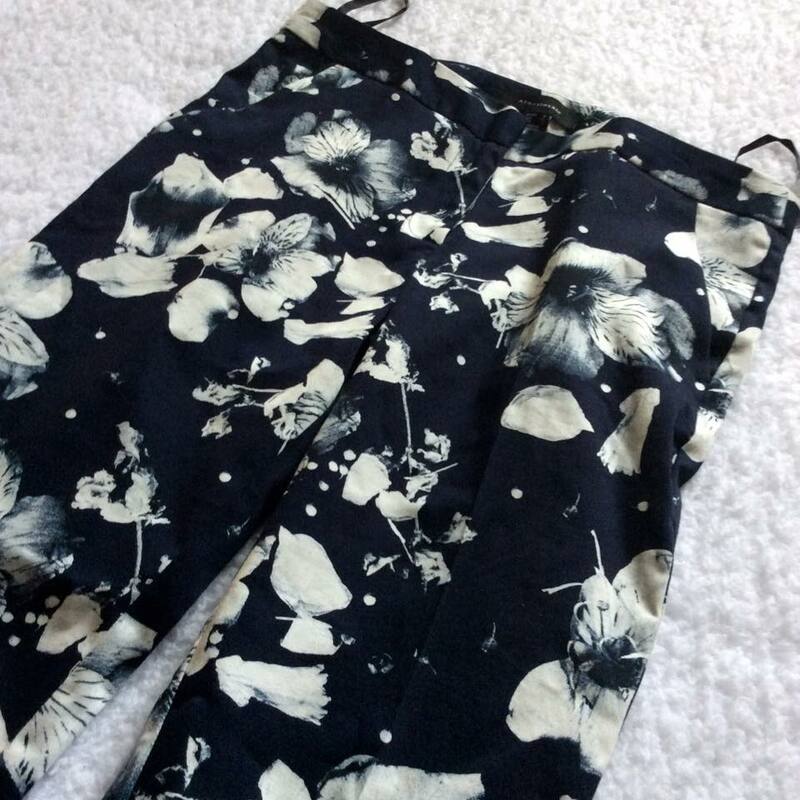 If I didn't know where these were from, I would have said Zara because they are such good quality and Zara are known for their floral trouser, I love the print on them & I just think these will look really nice with the pair of heels I bought the other day. 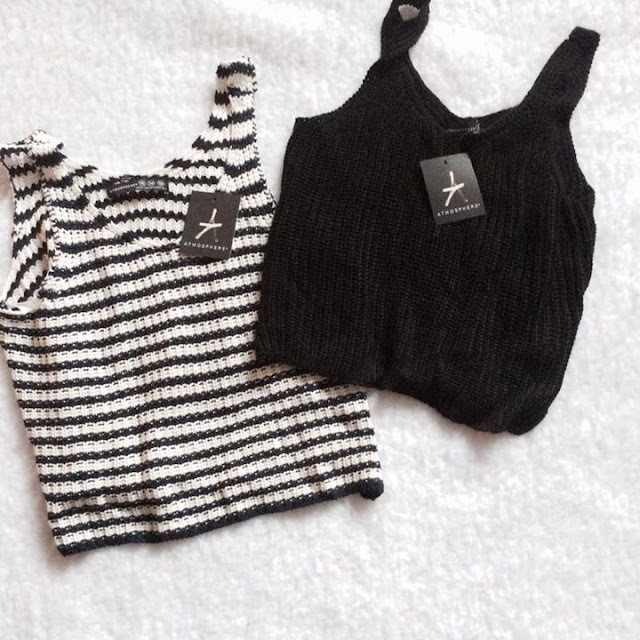 Now my next two items, I've been trying to find in my size but hadn't had any luck until I went in the other day, one you probably have seen before if you're a returning reader, and it's this stripe crochet light crop top. I picked up another one in the navy and cream as you know you can have one on, one in the wash ect. I also picked the same one up in just plain black as you know you can never have to many basic tops, they're extremely lightweight to pack as well if you're going on holiday. sticking along the theme of stripes and navy I came across this lovely striped ribbed bodycon dress, I don't really tend to buy bodycon dresses but I absolutely loved this basic dress, I love stripey things so this was a definite must have, you know what it's like you pick things up, your hand pops them in the basket and before you know it ends up at the till paid and purchased hahaha. 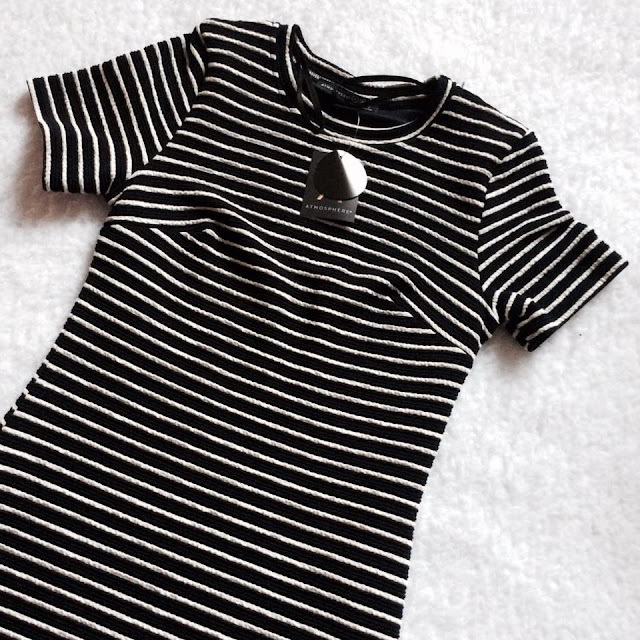 It's Navy blue & white/cream stripes (it looks like black and white stripes in the photo but it is actually Navy and white) This too feels like really good quality, what I like about this particular dress is that you can either dress it up or dress it down. Next up I brought another blouse, as I have a slight (actually huge) obsession with collared tops and shirts, I really like the print on this blouse, it's a bit out there but I think this would look nice undone with the black crochet cami underneath and a pair of my disco pants or black jeans. This too is quite summery and in your face but teamed up with the right things I think this would look like a really pretty. It is a bit retro but the 50s 60s and 70s prints are in at the moment. I also picked these flower print cotton shorts, you could either wear these as pyjama style shorts or just ones to chuck on over a bikini if you're on holiday. 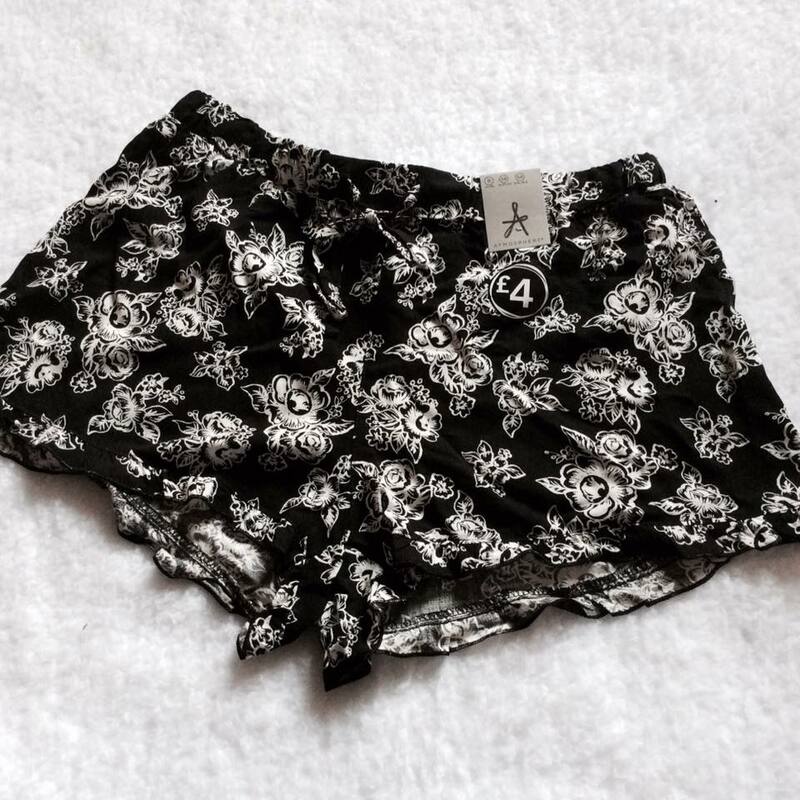 I liked the floral print on these and the frill edging, these are also perfect if it's a particularly sunny and hot day and you don't really want to wear trousers or a skirt. 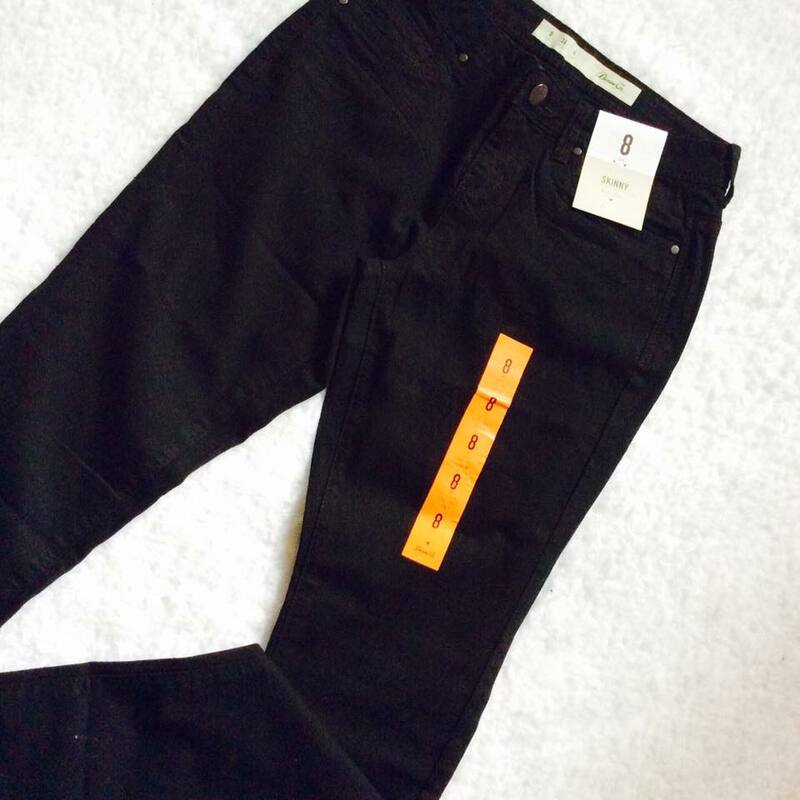 Now I've heard quite a lot about primark jeans, some people love them some people hate them, I've heard quite mixed reviews, so I thought now was about time that i put them to the test and give you my true opinion and aid you in some way if you are thinking about purchasing a pair. 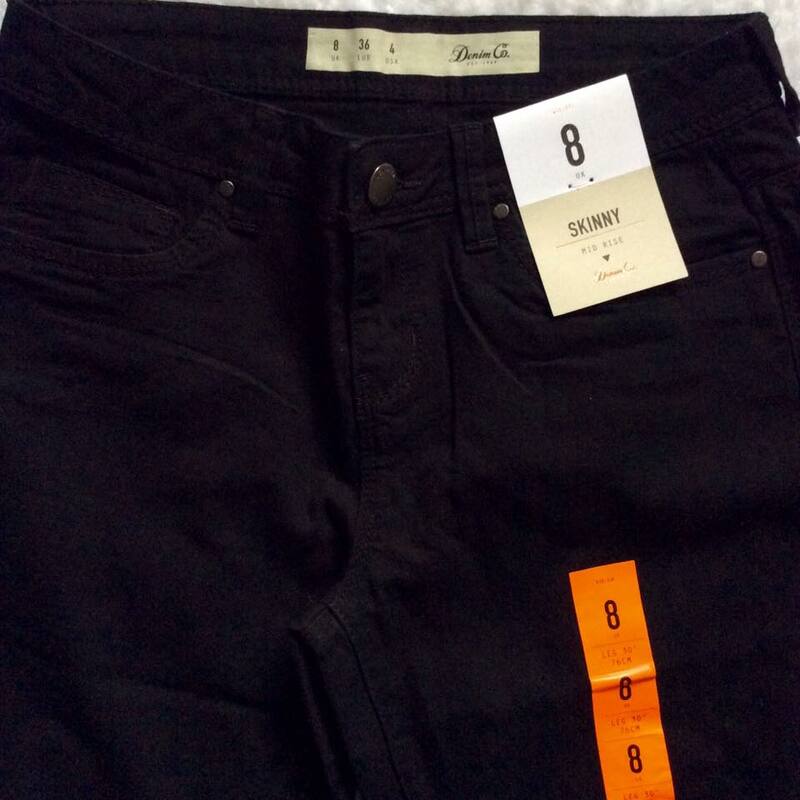 I would firstly like to say that I've actually picked up the wrong size as primark I believe have increased their size 6s & 8s slightly but never the less the fit is quite good (mine are a size 8 but they are just slightly too long in the leg) I personally prefer high waisted jeans/trousers (I'm not a lover of jeans, disco pants & leggings are my comfort zone). The quality is good for £8 I do however think with these that you get what you pay for, the colour doesn't fade after a wash, they are stretchy and have extremely good wearing power, I do think they are good I just wish I could find a pair that are high waisted and then I'd be sold. 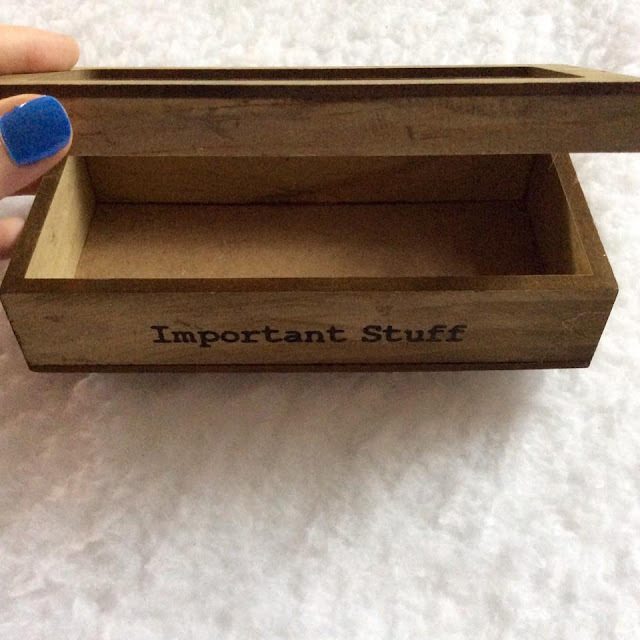 Moving away from clothes whilst wandering the homeware section a came across this really cute little trinket box, I like that this is very ideal for putting little things in like rings or bracelets ect that was only £3. 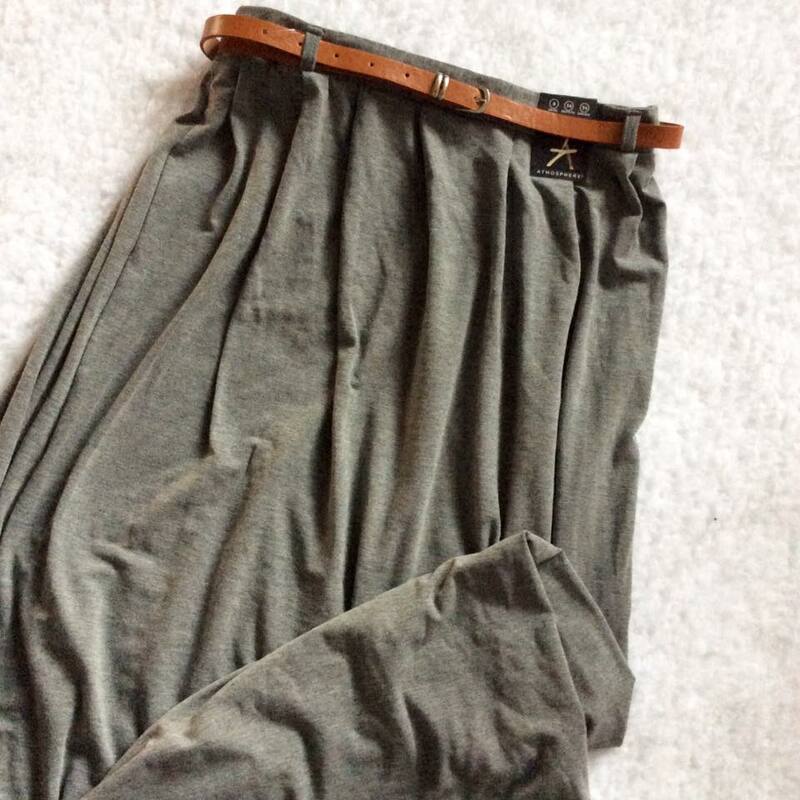 I also brought this long maxi skirt as I like to (on chilly days) wear a maxi skirt and a sweater, so I picked this really lovely long plain grey maxi skirt, it comes with a belt and I just really like the feel of the material, it's that floaty lightweight material, and that was only £8. and that was all I brought in primark, I just really love their clothes and homeware at the moment, it's affordable and there's something for everyone for every price range. 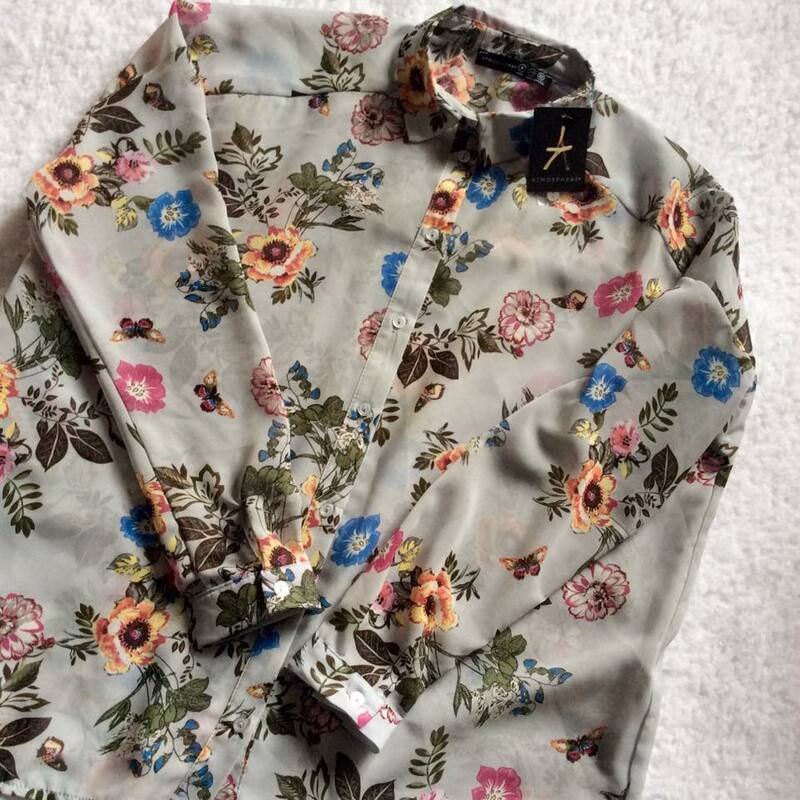 What's your favourite item from my haul? 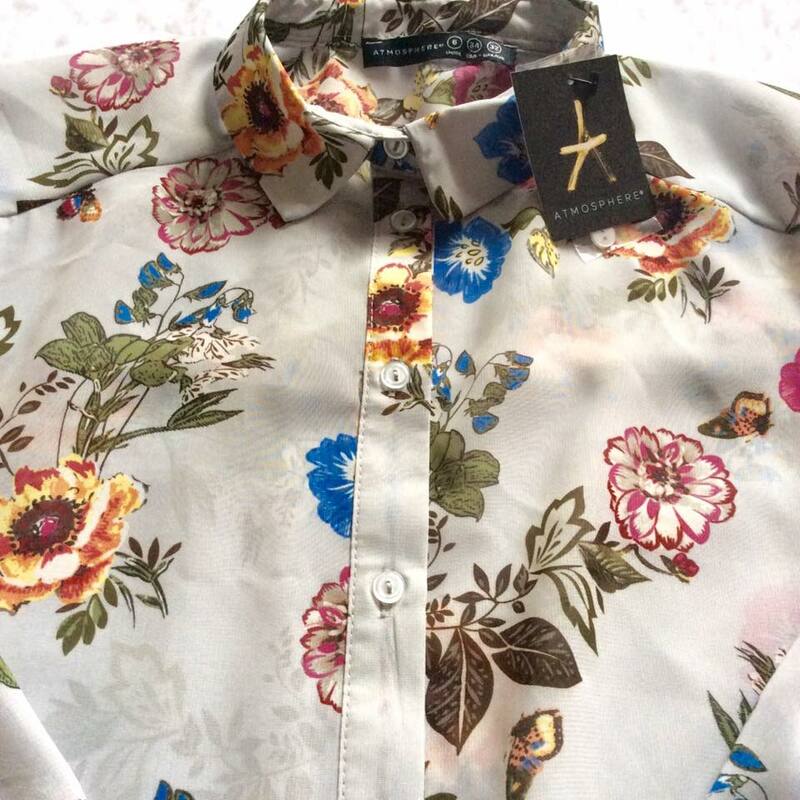 *some of the clothes/items featured in this blog post have been gifted, however all views and opinions are my own. A couple of weeks ago I was sent the *new limited edition Batiste to try out and share with you guys what I thought of it, Batiste is my favourite go to dry shampoo hair brand, They kindly sent me a full sized limited edition bottle, Over the years i've used lots of different batistes but I have to say this one is my new firm favourite, a couple of months back I did another review on a different batiste you can have a read of that here if you like. I personally love the scent of this one, it's a very sweet scent unlike some of the others, I also personally love the new packaging I just think it's really girly and elegant. The reason I haven't done this review sooner is because I've been testing it out and wanted to give you my full opinion, The new limited edition bottle does have a lot more staying power and doesn't leave as many white streaks through your hair, I have to admit I'm personally sold on the packaging and the scent as it's just beautiful! It instantly gives you that fresh hair feeling and just in general is such a lovely product.It does give your hair a lot of texture. I would definitely buy this particular one again, I do hope they make this limited edition one into a mini handbag one as well, when you're out and about you sometimes just want that fresh hair feeling or if you've been to the gym ect. 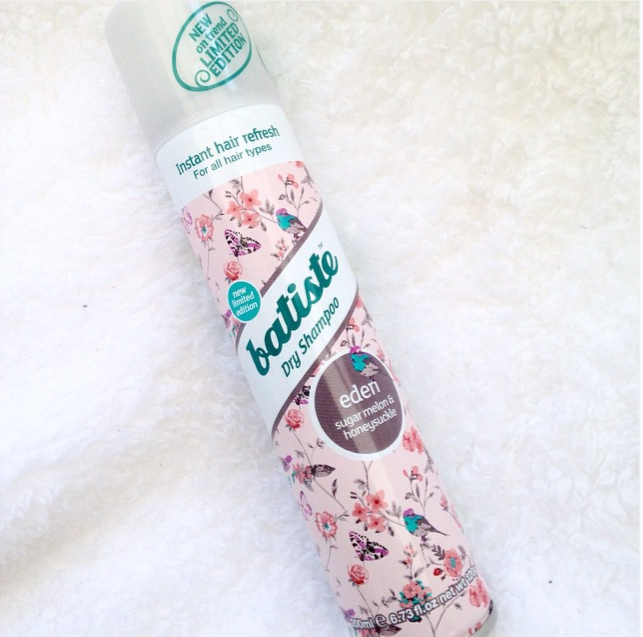 Batiste is my go to dry shampoo product and I can't wait to continue to use this. The price is very reasonable and you do get really good value for your moolah. 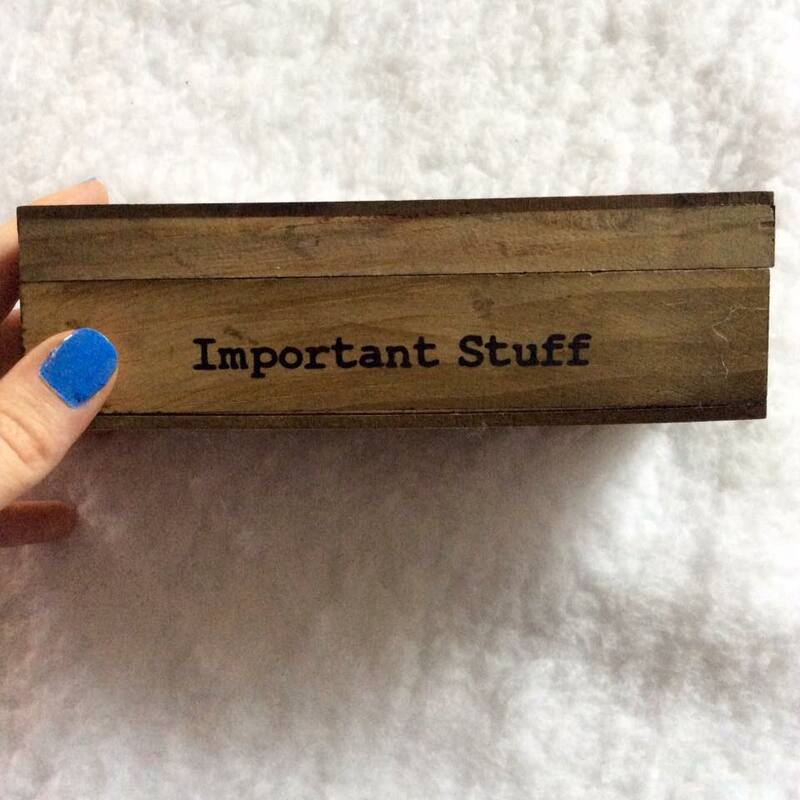 *the items/products featured in this post have gifted products for me to sample, however all views and opinions are my own.